Certificate as awarded to Birrieria Reyes de Octotlán following this nomination. I like just about everything about this place: the unassuming exterior, the boldly touching declaration of worldwide superiority (“con la major birria del mundo”), the kind and generous folks who run it, and the absolutely knockout quality of their birria, whether in tacos or broth. When my civilian friends ask me about my favorite place to eat (“Have you been to Alinea?”), I’ve been telling them about this tiny storefront that closes early, which may surprise them but does not disappoint them. There’s something powerful and classic about a place that has, basically, one menu item, kind of like Gene’s and Jude’s and Johnnie’s. It’s a refusal to give into the “more is more, let’s have something for everybody” marketing approach that’s practiced by…well, that’s practiced by the majority of restaurants everywhere. 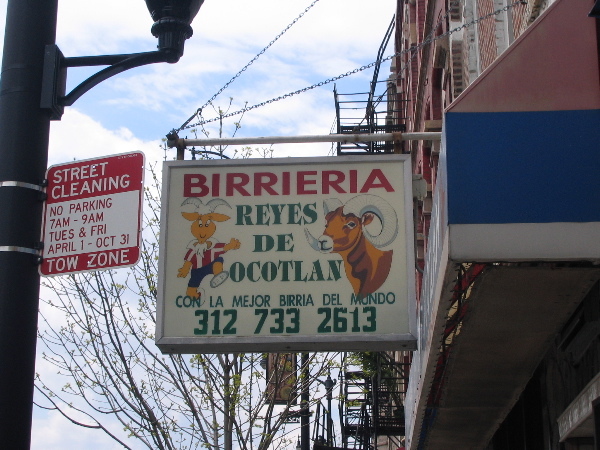 Birrieria Reyes de Ocotlán is a beautiful little place, serving essentially one thing, very well-prepared. My choice for a GNR award. David Hammond wrote: There’s something powerful and classic about a place that has, basically, one menu item... It’s a refusal to give into the “more is more, let’s have something for everybody” marketing approach that’s practiced by…well, that’s practiced by the majority of restaurants everywhere. I have expressed my extremely positive views of BRO in the post to which David gives a link. I'll just add that I agree completely with the thoughts I cite above and beyond that, all I can say is that, if you like birria or if you haven't had birria but like real Mexican food, try this place: so far as I can see from all the posts on the board about this fine little restaurant, those who have tried it have all liked it very much. And so, I second the nomination. I enthusiastically third Hammond’s nomination of Birriería Reyes de Ocotlán, home of fabulous birria (and amusing décor!). When the moderators review the current round of GNR nominations, I imagine someone may say in dissent, “Not too many LTHers have posted on this place.” That’s true, and it’s a shame: places on the south or southwest sides often don’t get the LTH traffic that a spot in, say, Albany Park might. But note that everyone who has tried Reyes de Ocotlán following Antonius’s initial, very positive, write-up has been wildly enthusiastic. (Hammond: “stupendous” and “my favorite place to eat”; laikom: “my new favorite food. … I am constantly thinking about going again”; terrasini: “excellent… try this place”.) I hope the unanimity of elevated praise for this wonderful little spot will be taken into account, rather than just going by mere numbers. I have a couple other reasons for hoping that Reyes de Ocotlán gets recognized with a GNR. Oftentimes when we LTHers are posting about (or nominating) a hole-in-the-wall spot we plead with our fellow posters to go, support the place because it badly needs more customers. Reyes de Ocotlán is not really in this precarious position – it’s already doing a fine business in its neighborhood. Rather, the folks who need help in this instance are the posters/lurkers/newcomers who don’t yet know about this spot. 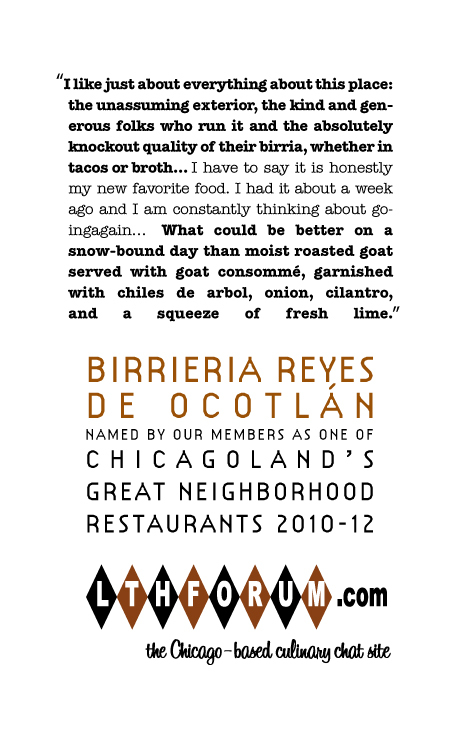 Giving a GNR award to Reyes de Ocotlán may encourage some northsiders to come down to Pilsen, may embolden the timid to sample their first goat, may give newcomers to regional Mexican specialties a starting point for their explorations. Let’s put it on the list of GNRs, put it on our map, as it were, to help guide outsiders to this spot. 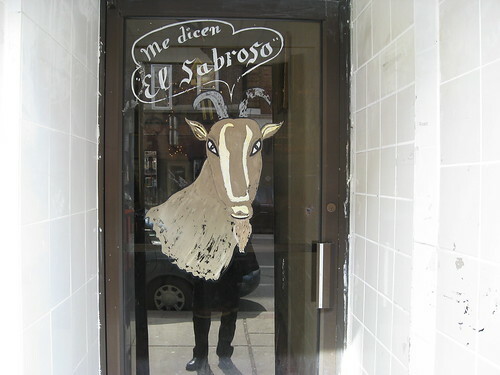 And, let’s put a sign with our web address on it in a window in the heart of Pilsen, and thereby, perhaps, get more new posters with intimate knowledge of the great variety of la cocina mexicana contributing to our conversations. Let’s put ourselves on the map for some folks who may not yet have stumbled across this site on the web. With a GNR award to its credit or not, I urge you to check out Reyes de Ocotlán, fellow posters. What could be better on a snow-bound day than moist roasted goat served with goat consommé, garnished with chiles de arbol, onion, cilantro, and a squeeze of fresh lime? ... Reading Amata's very persuasive reasons for supporting BRdO for a GNR, I feel moved to second the nomination, but then, I already did. What are their hours? I called but didn't get anywhere. C2, they close pretty early. I think around 8:00 PM. Sorry, but I don't have their hours -- not even on the business card I have before me. That said, I've never noticed them being closed, so I reckon they do a six if not seven day schedule... I would recommend going for lunch, if you can -- that seems safe, for, as to when they close in the evening, I haven't a clue. I'd love to hear a Hammond update on this one; I reckon he visits more often than I do. 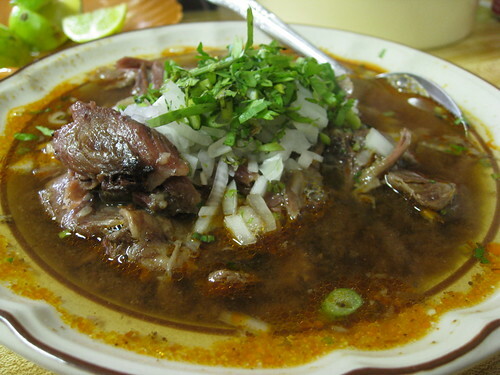 I stop by myself on my northwest trek from work and have a delicious, warming, $6 bowl of goat soup with limes and tortillas about every 40 days; admittedly, my allegiance on that corridor is shifting to Honky Tonk and Uruapan, but when I have to have birria, its always at the "Birdo." Santander wrote: I'd love to hear a Hammond update on this one; I reckon he visits more often than I do. I stop by myself on my northwest trek from work and have a delicious, warming, $6 bowl of goat soup with limes and tortillas about every 40 days; admittedly, my allegiance on that corridor is shifting to Honky Tonk and Uruapan, but when I have to have birria, its always at the "Birdo." It's been a good long while since I stopped into this place; my guess is that its quality is unwavering but will have to revisit before I can confirm that conclusively. This was one of my last stops on my way out of town. It was on my short list of places to squeeze in. This turned out to be a bad call, not because it wasn't worth my limited number of stops, but because it added to the list of foods I crave and can't find. I can't speak to its quality before this past summer, but if it's headed downhill, I really should have been there two years ago. Join me and the Venerable MikeG at a GNR-renewal lunch at Birrieria Reyes de Ocotlán, 3/5, 12:30PM. If weather continues dark, cold and moist, a bowl of steaming goat soup will prove a most delicious SAD antidote. Mike G. was at his most venerable today, and the birria was as pleasant, warming, and homey as you could want, with fresh tortillas and lots of limes. I paid closer attention to the bottled salsa today (which I normally don't use at all, having the dried chiles at hand), and think it's nicely handcrafted as well. 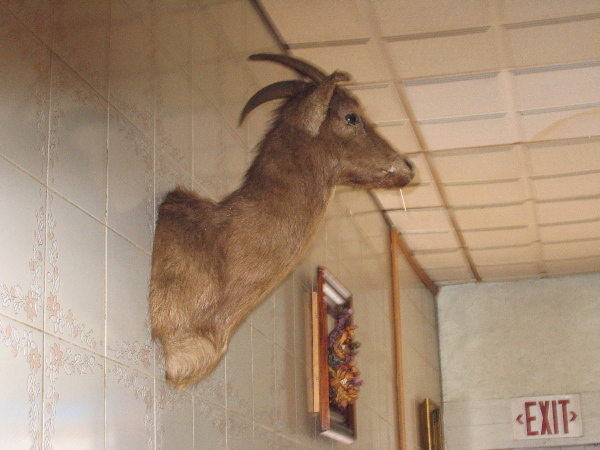 I don't do birria at other places often, but having had it in Mexico in 2004 and 2006, once each at Huentitan and Estilo Jalisco last year, and at Honky Tonk down the street in January, I think Birdo has a corner on succulent, non-gamey goat, and taken with the condiments, room, loyal clientele and owners, it makes a solid GNR. The portions were huge, and there were a lot of completely empty, clean bowls at the end of the meal today. Thanks to DH for setting this up. Good friends, that's my GNR. I wonder if Birria has some of the variability of Italian Beef, for today it did not have the complexity and depth of flavors it had on other visits. Instead, it was just straightforward and delicious, a simply rich broth bursting with meat. For those who might be afraid of goat, don't be. If you closed your eyes today, I do not think you would have guessed you were eating goat as the flavor was less goaty, almost beefy (but more tender than stewed beef would have been). I wonder if this is part of the reason for the simpler flavors - with a milder goat, they dialed back the seasoning so as not to overwhelm the meat? A warm and inviting place that does one thing and does it consistently very well = a deserving GNR. The fact that one can walk a couple of blocks to Bombon Bakery for a dessert, is, please forgive me, the frosting on the cake. dicksond wrote: I wonder if this is part of the reason for the simpler flavors - with a milder goat, they dialed back the seasoning so as not to overwhelm the meat? I'm wondering how they would know in advance that one goat would be milder tasting than another? Do you think that is something you can tell based on the size/age of the goat? Older goat would mean stronger flavor, though I tend to think they just accidentally underseasoned the batch we got. It had flavor, but as dickson mentioned, lacked some of the complexity we've enjoyed in the past. One time we were driving through Mexico going to Mexico City.It was spring and there were a bunch of guys in the rural areas holding up baby goats by the side of the road, among other things (plastic bags of fresh cheese, snakes, hawks,parrots).My wife when I asked said they were for sale. Selling baby goats, what for, pets? She looked at me like I was an idiot and said, no, to eat, stupid, that's were you get birria. 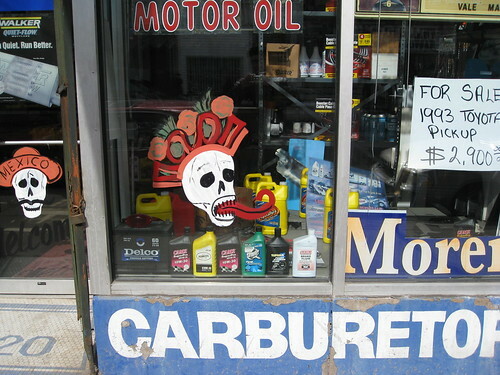 We had some at the side of the road in San Luis Potosi and it was exquisite.I guess for tenderness you want them young. Two individuals on two separate visits with me over the past few months rated Birrieria Reyes birria over Zaragoza, while loving both. These unexpected results are enough to warrant renewal in my book. Zaragoza has charm, perfect roasting technique, jolokia, and a dynamite vegetable-based broth, but for elemental stewed goatiness Reyes is still the place to beat.